*This establishment is already CLOSED. 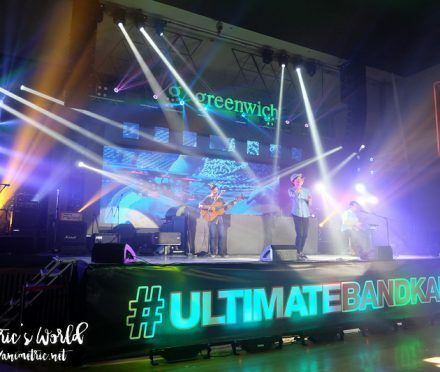 The UP Town Center branch is still open though. Finally! 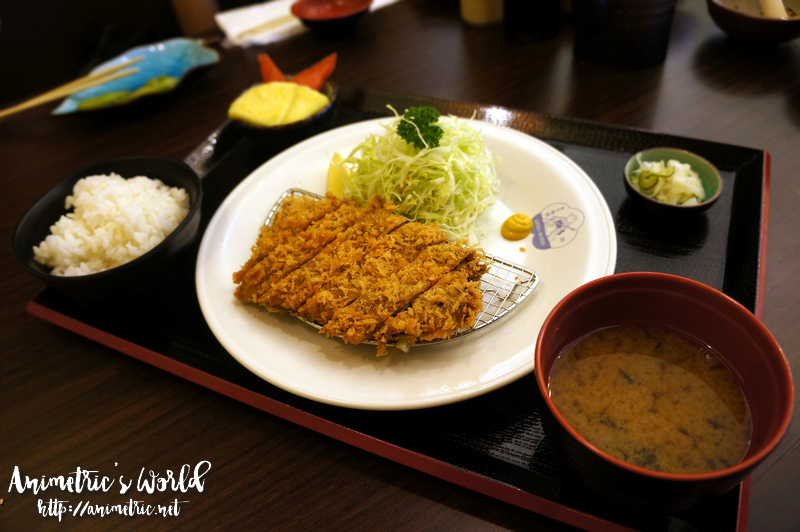 Hubby and I got to try that new tonkatsu place food bloggers have been raving about of late… Ginza Bairin. It’s actually a Japanese franchise that has an 84-year history in its mother country. Yep, it was established in Japan way back in 1927. How could we go wrong, right? 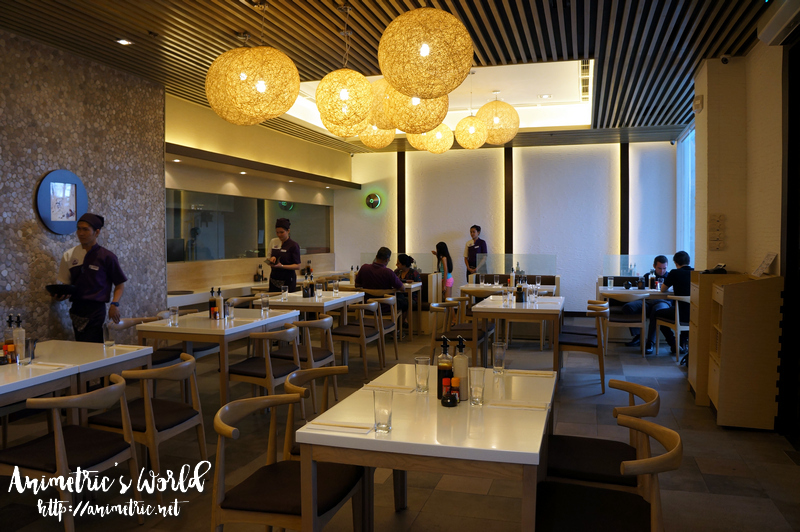 Hubby, the kids, and I eat at Yabu House of Katsu a lot and so that was the peg we were going to compare Ginza Bairin with. Anyway, Ginza Bairin recently opened shop in the Philippines with its first branch in Glorietta 2. Lunch time was actually very frantic and there was actually a line outside the restaurant at 12nn. I took this photo way past 2pm already after the lunch crowd had cleared. 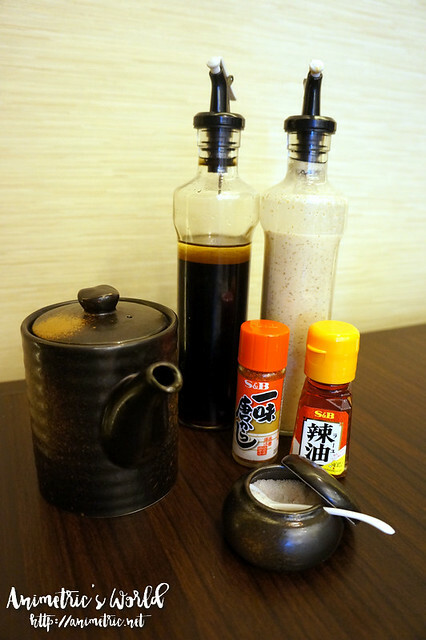 Each table gets a complete set of condiments — tonkatsu sauce (in the small clay pitcher), Himalayan pink salt, two kinds of dressing for the lettuce, chili oil, and chili powder. Later on there would also be mustard (on your tonkatsu’s plate) and tartar sauce (if it’s not there you must ask for this!) for seafood. 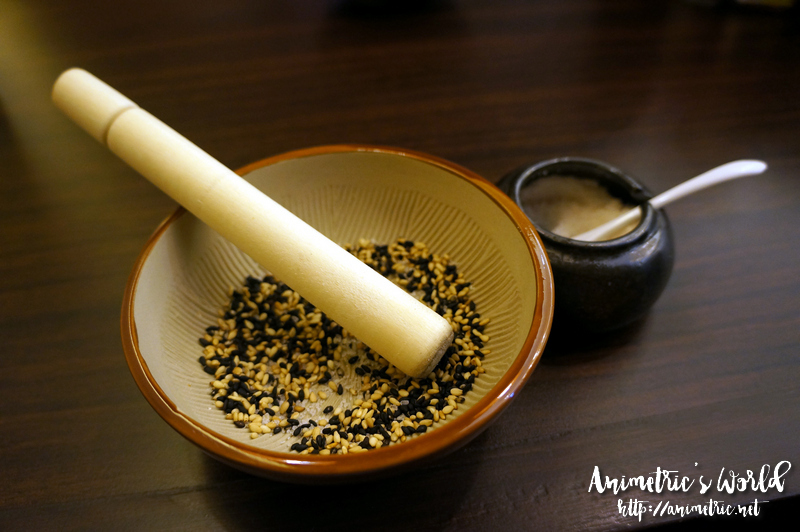 So like in Yabu, we were given some sesame seeds in a small bowl with a pestle to grind them with. 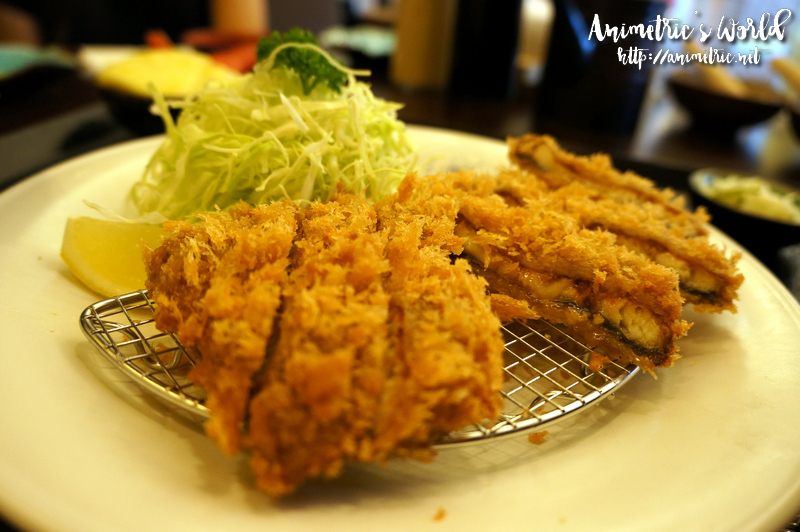 But unlike Yabu, Ginza Bairin encourages you to dip your tonkatsu in many different ways. One of them would be to grind the sesame seeds, mix in some pink salt, and then dry dip your tonkatsu in the mixture. It was good! 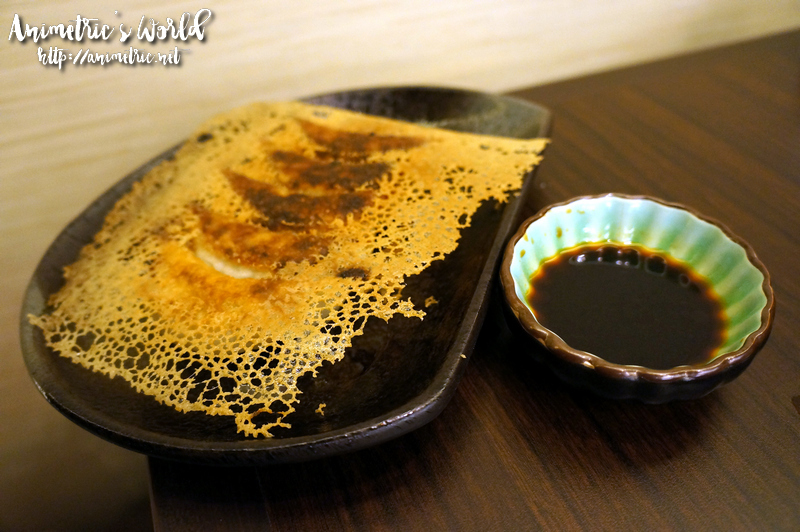 In fact, I liked it better than dipping meat into tonkatsu sauce, lol. For starters, we had Edamame (P115). 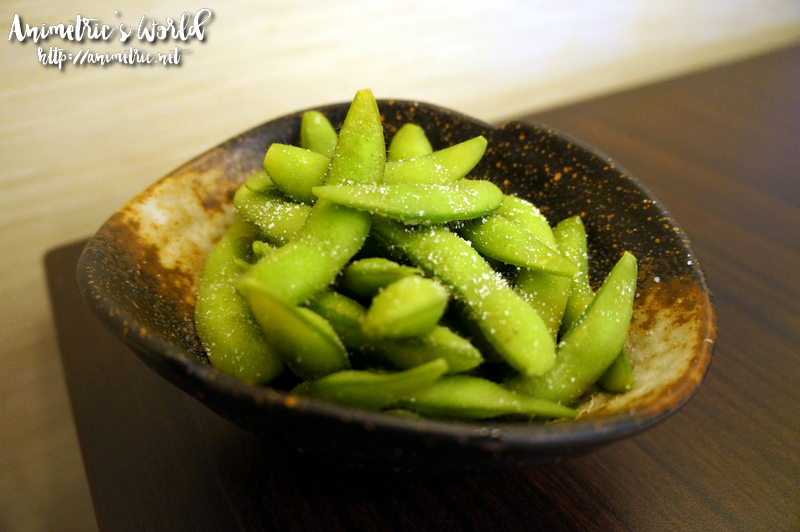 Edamame are actually um… immature soybeans? Yes, I googled and that’s exactly what they are. They are boiled, salted, and served. I knew we were going to have a fried-food-fest with all the tonkatsu that was coming so boiled legumes for our appetizer was very fitting. To eat Edamame, you just press on one end of the pod and sort of shoot the bean that comes out in your mouth. It’s simpler than it sounds, haha! Miscellaneous info: Japanese restaurants in the US usually serve this for free. After the best sandwich of our lives came the most expensive meal set on the menu, the Unagi Katsu Set (P795). It’s breaded and fried Japanese eel. Shudder. I’ve never tasted eel prior to this moment because the thought of eating them freaks me out but hubby orders unagi ever so often. Anyhow, at Ginza Bairin, when you say set, you get a bowl of rice, shredded cabbage, miso soup, pickles, and fresh fruits for dessert along with whatever cutlet you choose to order. The rice and cabbage are refillable just like in Yabu. So anyway, I was assured that this eel has no bones or tinik, so to speak. I gingerly tried a slice of the Unagi Katsu and… it tasted like your typical breaded seafood, wahahaha!!! Parang fish lang. Okay. I left the rest to hubby because even if it was good, I couldn’t quite get the images of eels out of my head. It’s not the food or the resto, it’s me. I suggest asking for Ginza Bairin’s tartar sauce in case they don’t bring it out with your seafood order. They make it from scratch and it’s THE tartar sauce of my dreams (so much so that I ate it all without taking a photo because it goes well with pork too… sorry!). You know the mayo and pickle relish mixture other places serve and refer to as tartar sauce? That is not tartar sauce. So far, Ginza Bairin is one of the few places I know which serves REAL tartar sauce. You must taste it to believe. Special Katsudon Set (P395) was more my thing. 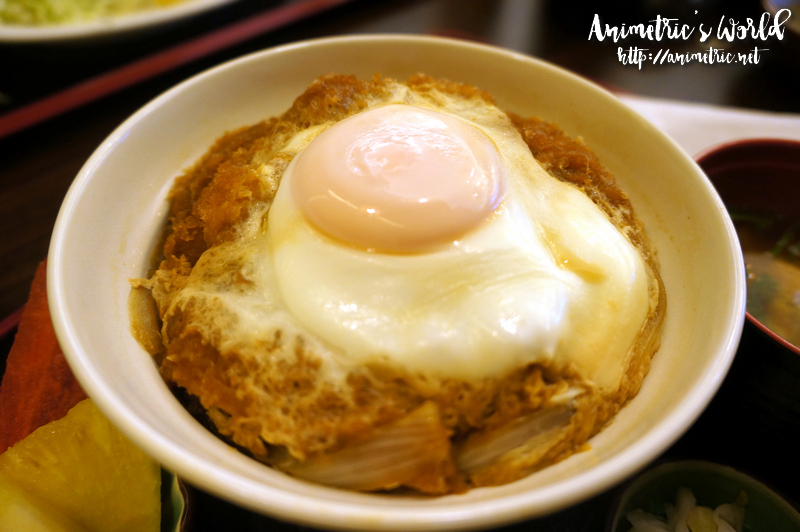 Tender Hire (lean pork) katsu, rice, special sauce, and eggs… the katsu is cooked with the egg sort of scrambled with it then it’s topped with another perfectly golden sunny side up egg. I was told the egg is special. Yes, it really did look special with its ginormous yolk that sported a rich golden almost orangey color. This is another OMG dish. I got my spoon and was able to CUT through the hire katsu with its dull head. Wow. The meat is just THAT tender. You break that beautiful egg yolk so it runs all over the rice and the katsu then eat it all together. It’s sooooooo delicious. Gosh, I really do think it’s the most delicious tonkatsu dish I’ve ever eaten so far. The flavor is so light and delicate that you actually taste how divine (soft, tender, juicy) the pork is. 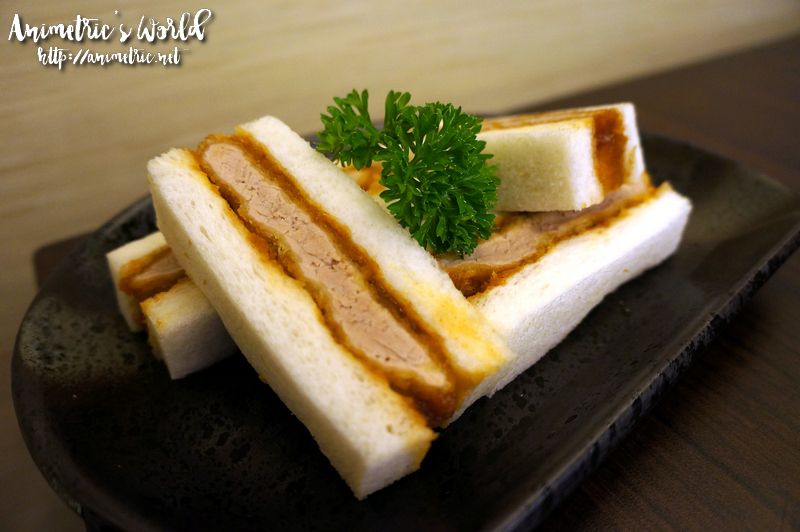 I am so having this again next time… that is if I’m not having the Katsu Sando Set, lol. Decisions decisions. As if we didn’t have enough food, we had some pahabol Gyoza (P150). I was surprised at how it looked when it came to our table. It was hands down the most artistic gyoza (pork dumpling) I’ve ever been served. So you break through the flaky crust-like thing to reveal the dumplings underneath. The Gyoza was okay, a tad too toasted for my tastes (the bottoms were a wee bit bitter due to overcooking) but still okay in general. I just had one piece because I was full already. 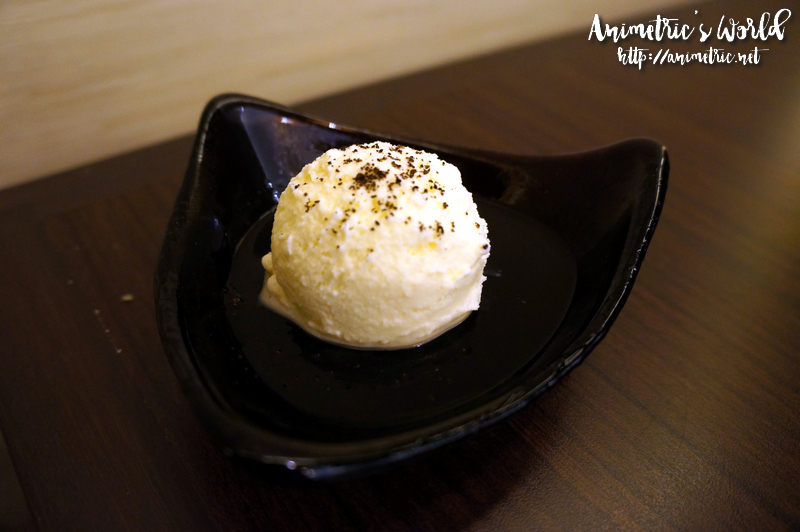 For dessert, we had Coffee Jelly with Vanilla Ice Cream (P90) which I really enjoyed. 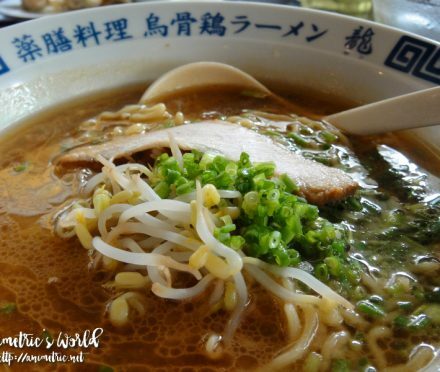 Its light taste and texture complemented our hearty meal perfectly. 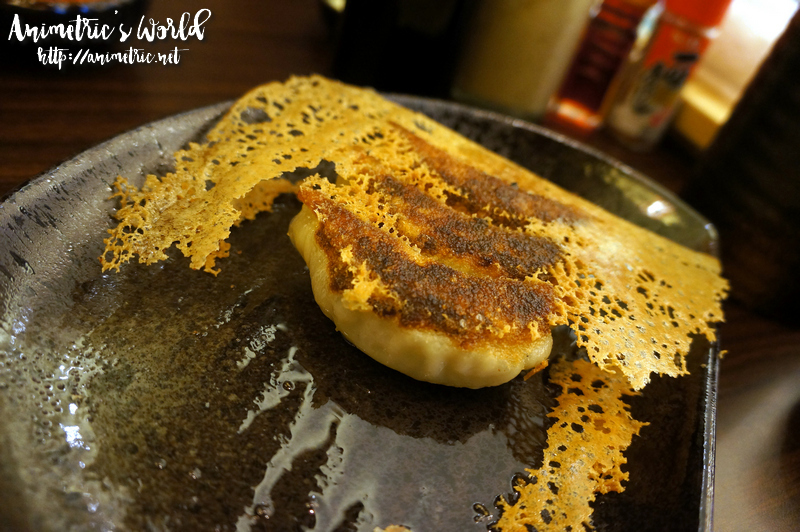 I had a really wonderful dining experience at Ginza Bairin. I know you’re itching to ask if I think it’s better than Yabu but to that I must give a qualified answer — of the dishes I sampled at Ginza Bairin, the only one I can compare directly with Yabu is the Hire tonkatsu. Ginza Bairin’s Hire is better because it’s more tender. Yabu’s Hire is a bit dry for me which is why I always order Rosu when I’m there, but Rosu works. I also like the sauce blend of Ginza Bairin’s Special Katsudon Set better since it has a more delicate yet more detailed(?) flavor profile. Its (the sauce blend) taste doesn’t overwhelm the dish, it just complements the pork. 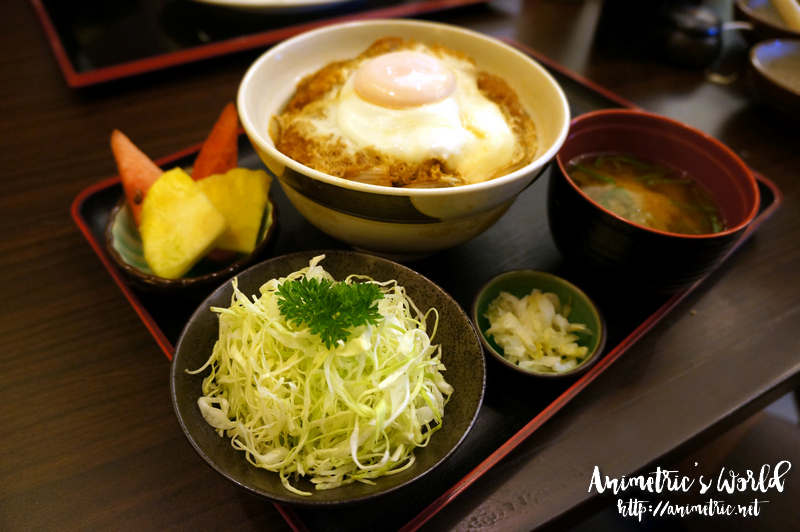 Yabu’s Special Katsudon Set’s sauce has a stronger taste. Price-wise, Ginza Bairin’s prices are a bit (just a notch) higher than Yabu’s which is understandable since it’s a franchise whereas Yabu is a Filipino chain.